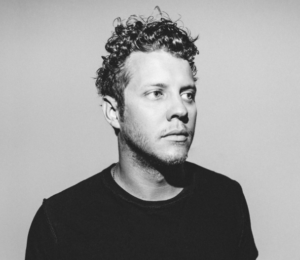 Anderson East has a catchy new tune out. Anderson East is new to us in the country world. It seems he’s new to the music world overall although he did release an album on a major label a couple years ago. Country music fans probably know him best as the boyfriend of Miranda Lambert the last few years. They have kept things pretty low key and I don’t blame them. Some of those news-type sites and commenters can get pretty mean. Anyway, here is the new single from Anderson. I don’t know that it fits the country genre. I’m not really sure what genre he’s in, but I kinda dig this song. It’s kind of weird, but this morning I was having some coffee and watching that Chicago documentary on Netflix. The band, not the city. Anyway, they were always known as the rock band with horns. And there are definitely some horns in this one. It’s a little funky. A little rock. Maybe a little folk. I think Anderson is just making music that he enjoys singing. Probably music that makes him feel all the usual human emotions. His voice really stands out. Chris Isaak maybe? I don’t know. Definitely a rock edge and that really stands out the most along with those horns in the chorus. The song’s lyrics are interesting. I wasn’t sure what direction it would go with that title, but it seems to be about a guy that’s kind of digging his buddy’s girlfriend. Or maybe it’s not a buddy, but just someone at the club.